Besides medications, regular exercise helps Parkinson’s patients significantly as exercise not only helps improve walking ability, joint flexibility, constipation, sleep problems, depression, but regular exercise also lowers the rate of bone loss. Patients who attend regular exercise classes also maintain and develop their social interactions that helps with their morale. In addition to walking, other exercises such as aerobics, swimming, using a rowing machine or a stationary bike, yoga, Tai chi, as well as resistance exercises involving specific muscles, are also very beneficial. Exercise is also very helpful for patients have a coexistent metabolic syndrome or risk factors for high cholesterol levels, high blood pressure, diabetes mellitus, or heart disease. 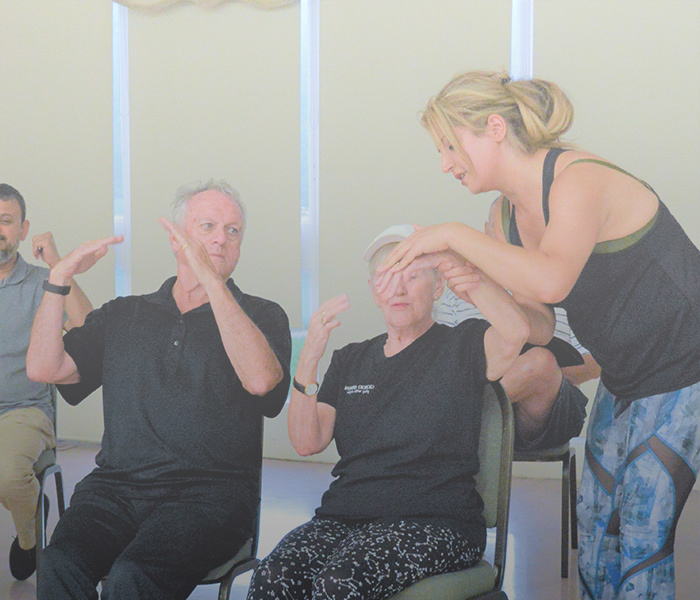 It is quite challenging to inspire patients to perform exercises on a regular basis and hence World Parkinson’s Program offers regular exercise classes for people with Parkinson’s free of cost. In addition, World Parkinson’s Program has also developed an exercise diary for Parkinson’s patients, and it is available free of charge upon request.